Wisdom is elusive, at least it seems that way. And yet, most of us can think of someone who had the ability to put together a combination of words that helped us over an emotional hurdle, directed us towards another course of action or with a few choice questions helped us solve a personal life riddle. These people usually have a special spot in our memories because of the impact of their wisdom. It’s apparent that wisdom should be an important part of the life of a Jesus follower. Solomon asked for wisdom and received abundant blessings. 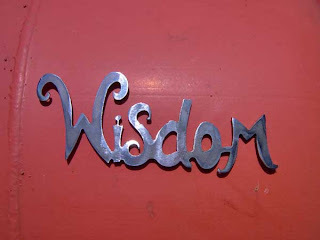 Proverbs is full of the benefits of obtaining wisdom. Jesus even “increased in wisdom” (Luke 2:52)! Wisdom is obviously something worth having. There’s simple clarity in this particular verse of James in the way it opens and closes. First, it leaves no openings for doubting that wisdom is a virtue and should be desired. If Jesus “increased in wisdom” so should anyone claiming to follow him. Second, there is a simple way to get this elusive word—ask God.It’s pretty basic. Unfortunately I’m not very good at just “asking God” for wisdom. When faced with a personal dilemma or listening to a distressed friend I grab for pithy comments and quote them like greeting cards. But, recently, in desperation, I tried the “ask God” approach and it worked! A situation that in the past had taken hours to resolve took fifteen minutes. It was amazing! Please give me the wisdom I needfor each day and every encounter.